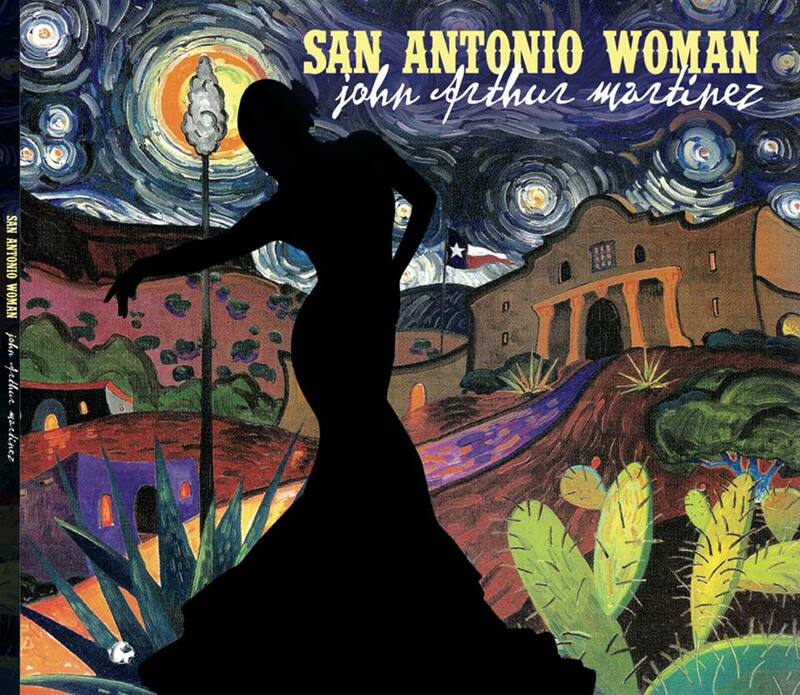 The album kicks off with the uptempo love song, and the title track, San Antonio Woman. This is the perfect song to intro the album because it is a feel good, get'cha moving kind of tune. Although the lyrics are catchy, it is the music that lifts your spirits and, even without a partner, this track will encourage you to get up and dance. This song was co-written by jAm's longtime friend, Kent Finlay. jAm says it is one of the very first songs they wrote together back in 1990 but he never recorded it until now. Finlay recently lost his third bout with cancer so jAm is dedicating this album to him. The next two tracks are quite solemn and both songs touched my heart. The eloquently written "You Were That Oak" is an engaging and beautiful tale motivated by the love and inspiration a son expresses when he loses his father. Next is the meaningful "This Is America (I've Got Your Six)", which pays tribute to the American soldiers. In the military, “I've got your six” means “I've got your back.” The lyrics are a reminder to those who have served, jAm sings, "Like you were THERE for me, I'm here for you." He dedicates this song to all military veterans and their families. He has created videos for both of these songs. Not surprisingly, all of the songs on the album are lyrically strong, making it impossible to select a favorite. On the first run through, I was leaning heavily towards "Everything I Never Knew I Wanted". I'm quite certain that a majority of women want to be loved this much, I know I do. It's a very beautiful song. However, just when I thought I had decided it was my favorite, "Cry-In-Your-Beer Country Song" hit the speakers. I'm a sucker for steel guitar and this track really showcases it and then I find out that this is a true story, a real country song inspired by a real cowboy, and it's a cleverly written song too. I loved it and just when I thought it might be my favorite, well, "An Early Thursday Morning" came on. Musically and lyrically it's so simple but so creative. I mean, "Harmonizing with a robin", how cool is that? Seriously! I loved it. After this song I decided to just sit back and enjoy the rest of the album... and enjoy it, I did. There is definitely something for everybody and all of the songs and instrumentals are excellent. jAm also included a cover of a true classic, "El Paso", and I'm sure even Marty Robbins would approve. This is a great version of this song. I admit it, I hit replay at least three times. I couldn't help it. Throughout the album you can detect what may have inspired a song by listening closely to the lyrics. Most country artists stay pretty close to whatever the current trend may be, but not jAm, he's a leader, not a follower, and you never know what will inspire him to write the next song. The album ends with a song inspired by something Maya Angelo said, "I Will Rise, I Will Rise". See what I mean? Creative is his middle name. Get the album, you won't be disappointed.